For those unaware, GDC—the annual Game Developers Conference—took place last week in San Francisco, California. It was my first time attending and my second time even traveling to the western side of the country, so I’ve made it a goal to recount the ups, downs, and takeaways from the experience. What follows is the first part of this retelling: the first day of travel and the first day of the expo itself. I woke up at 9:30 the night before. Early—excessively so—but I didn’t want to be on the blue line any later than about 2 in the morning. I showered, made breakfast, and triple-checked that I was packed and ready to depart. I had decided to leave at midnight—only partially to take the midnight train going anywhere—and I arrived at O’Hare around 1 without incident. It was here that I encountered my first obstacle: airport security is not open 24/7. In hindsight, I should’ve realized this, and it was quite clearly available online, but I was left to find a place to sit and read a book until the checkpoint opened shortly after 3. In all honesty, making my way through security—a necessary evil, in my mind; I’ve never liked airport security—didn’t actually change much. I just had an actual chair in which to read my book and a Starbucks from which to acquire breakfast. It wasn’t too long later that the rest of my party arrived, and we boarded the plane. The view from my seat on the plane. We tried to outrun the sunrise, but it’s tough to out-speed light. 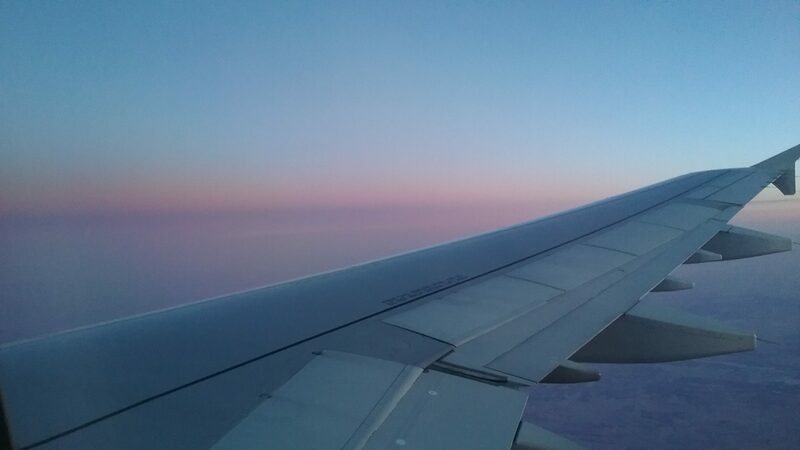 Plane rides between time zones are akin to a sort of time travel. 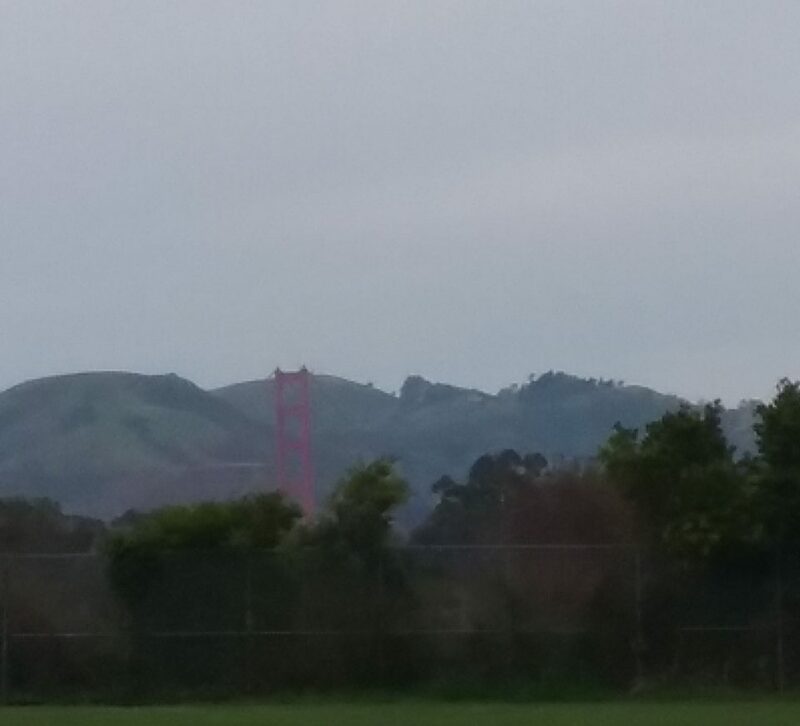 Though we departed just shy of 7AM, our four-hour flight arrived in San Francisco at about 9:15. I slept off and on for around half of the flight, but certainly felt nothing close to rested by the time we touched back down. That is what perhaps what made the rest of the day so surprising. I am extremely introverted. I can count on one hand the number of people around whom I can reliably recover energy more than expend it, and this loss of energy is more pronounced when happenstance throws off my plans. 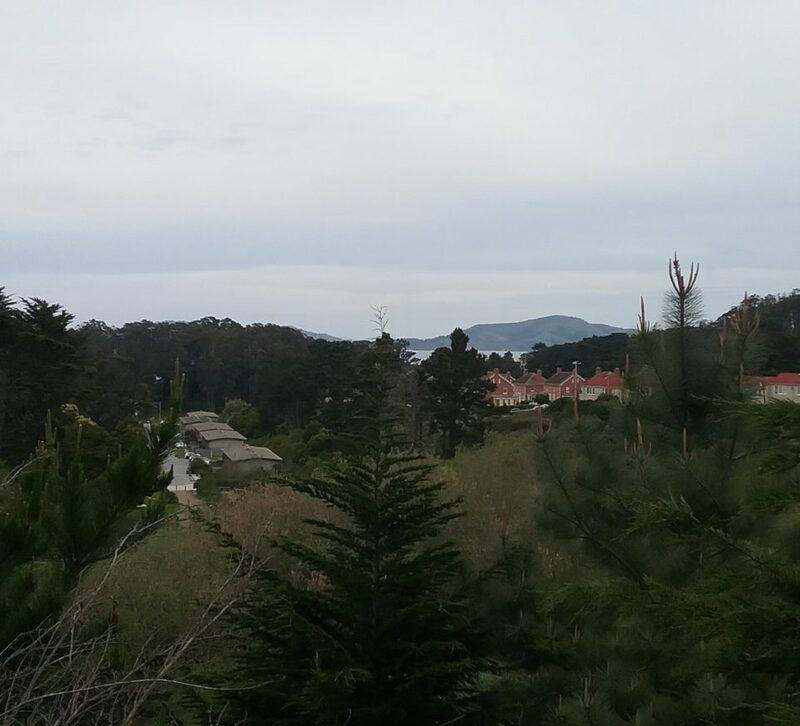 I did, of course, have a plan before I went to San Francisco: I would buy groceries on the first day, stay in the hotel when I wasn’t at the expo hall, and spend my time eating light meals and resting up in my room. As a bespectacled wizard once said in a movie adaptation: we plan, we get there, all hell breaks loose. But this day, hell broke loose in the best of ways. 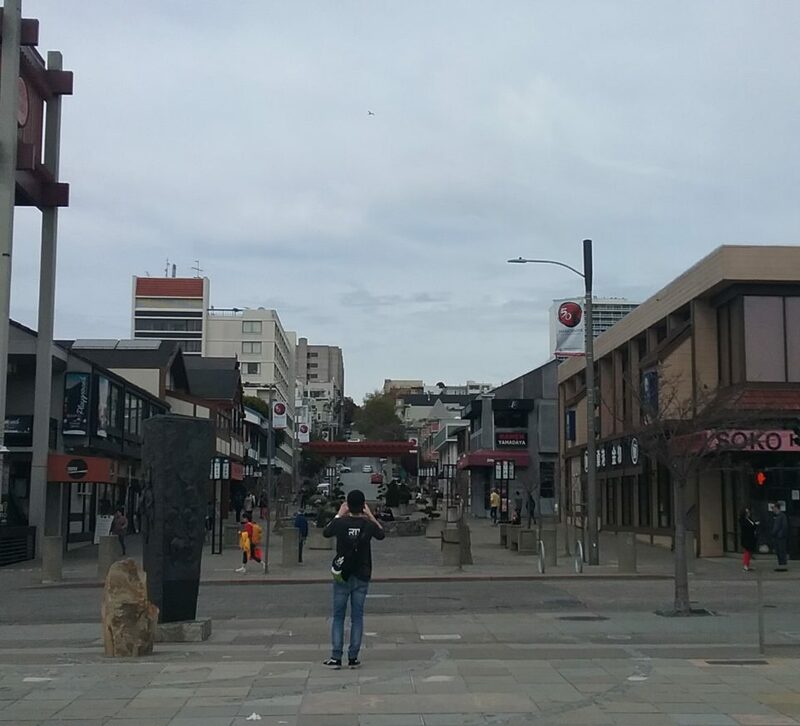 An old friend of one member of my party lived in the city, and I agreed that I’d tag along to meet him and his girlfriend for lunch. I hadn’t initially planned that our party would remain together beyond travel, but I was happy to carry on in their company—as long as I would eventually have time for grocery shopping. 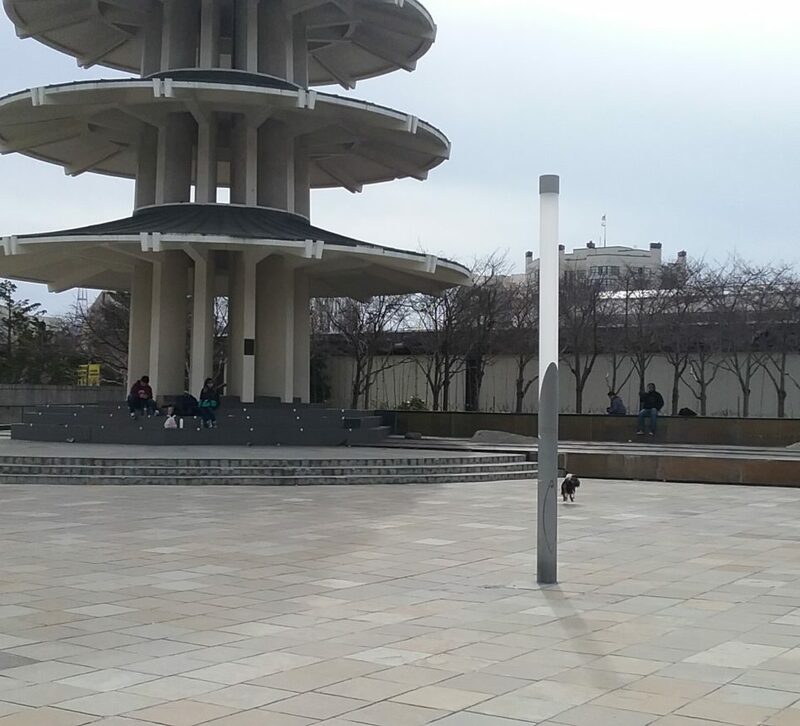 After an hour wait and a fair bit of additional talk around lunch, as well as our first foray into GDC itself (neither badge pickup nor the bathrooms were exciting enough to describe in further detail), this old-friend-of-a-friend offered to show us around the city. It was at this point that I set my plan aside to enjoy a day in a new place, with friends new and old—the best decision I made all week. In their company, I wandered all about the city, taking all manner of photos in an only-vaguely-ironic act of excited tourism. Put together, it’s not hard to see the similarities. Left photo by Alexis Lellios, right screenshot courtesy of the Sonic News Network. 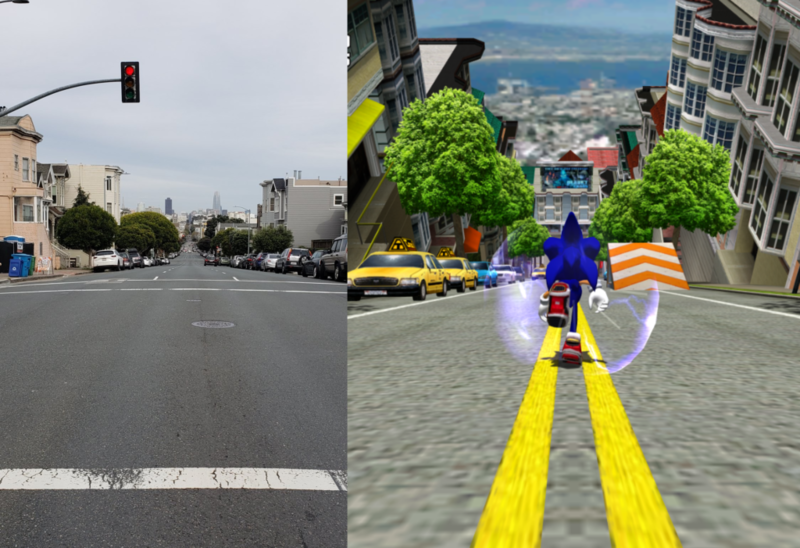 I became familiar with many inspirations of a beloved childhood game—much of Sonic Adventure 2 is set in the San Francisco area, with the iconic City Escape level drawing from its dramatically sloped streets—and realized others I wasn’t aware of before. 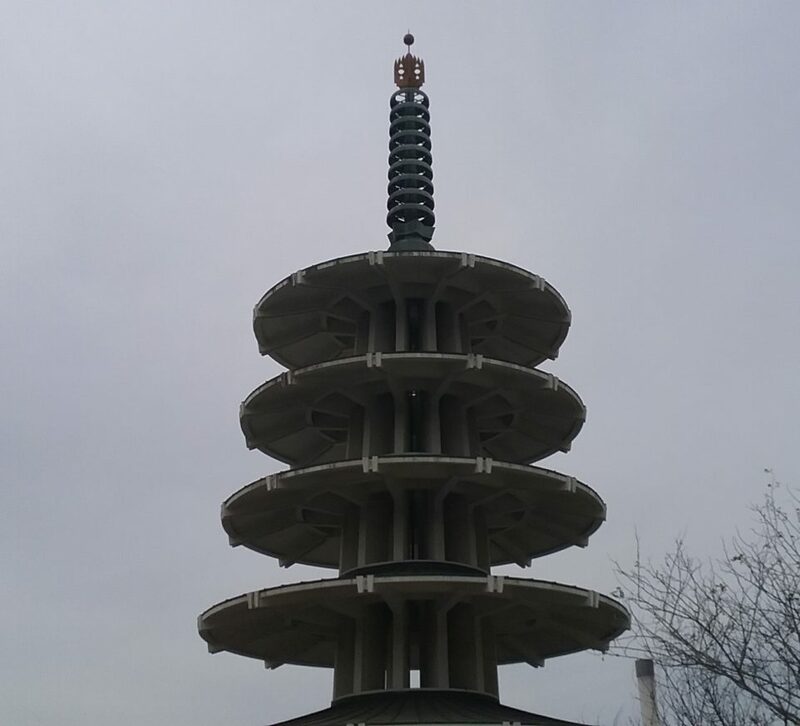 We explored parts of Japantown, which became a rabbit hole of entertainment when we walked past the arcade and spent over an hour browsing a single dollar store in one of the malls, then experienced the most surreal Burger King I have ever entered as our guide took it on himself to eat 50 chicken nuggets simply because the price was low. 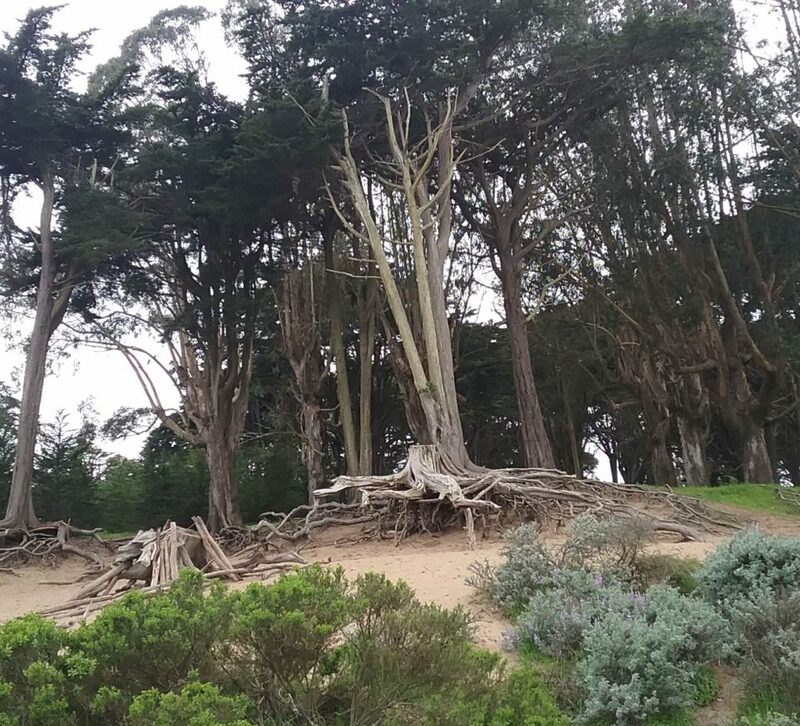 Our sightseeing came to a conclusion with a brief hike up to a hill and a petrified tree stump, which offered us a view over forested land, the water, and—almost—the Golden Gate Bridge. Despite spending much of the day taking in the new area, we did attend one GDC-related event: the GitHub party. It was a rather crowded event in the lobby of GitHub’s main office—though to call it an office seems unfitting, as it had ping pong and pool tables, a rather expansive gaming lounge/possible theatre, and an open bar, which fortunately had non-alcoholic offerings for those who, like me, just wanted to remain hydrated. I was completely overwhelmed and out of my element on entering the place (see several paragraphs above), but I did my best, and through the encouragement and secondhand praise of some of my peers, I brought myself out of my shell to meet a few different people. In truth, this was the most direct socializing and self-marketing I did all week, which wasn’t entirely the goal, but I’m glad to have talked to the people I did and made positive impressions on unfamiliar faces in the industry. I even, at one point, received a compliment on the hairclip I have so insistently worn lately. 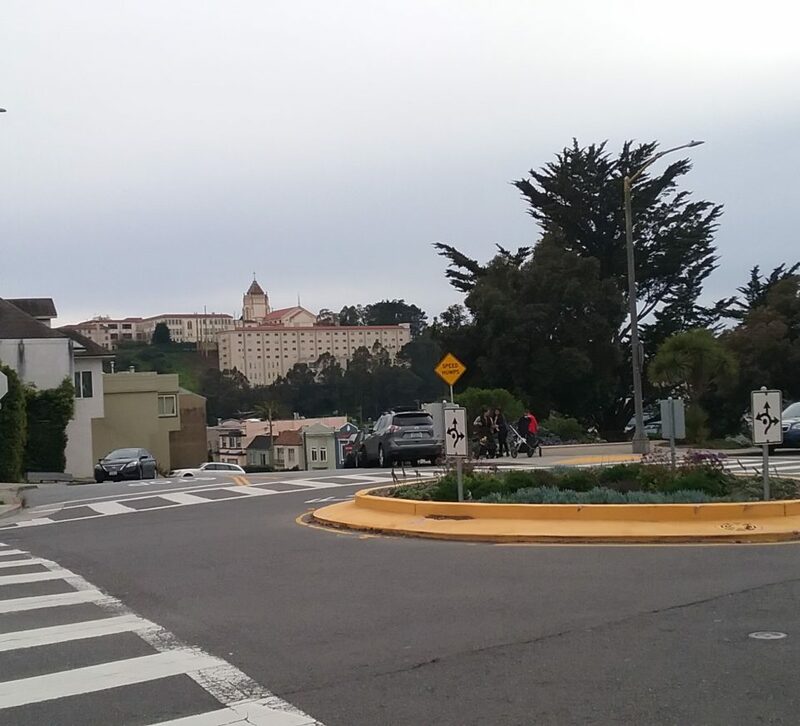 The night after the party was the closest I came to my initially-planned routine: we returned to the hotel, I picked up my lunch leftovers from the hotel fridge, and I ate a cold dinner while watching a couple of YouTube videos on my Switch. I needed a bit of time to rest after a busy day, but I was glad to have had all the busyness I did. Wednesday was the first day of the GDC expo itself, at least for my party and I. There were some who attended workshops and summits in the days prior, but our passes were focused on the three-day span from Wednesday through Friday, when the sweeping conference hall was open to attendees. Blurry photos were about the best I could manage. There was a lot to take in. Entering into the hall was, in a word, overwhelming. On the south side, the space was largely occupied with massive booths dedicated to some of the giants of the industry. Microsoft and Sony had monolithic spaces for their current and upcoming developments, Unity had private meeting rooms attached to its expansive booth, and Epic Games—creators of both Unreal Engine and Fortnite, among other things—had a second story, a multitude of setups for games made with their engine, and several active ovens with which they provided free, fresh-baked cookies to attendees. To the north was a diverse array of indie and student games booths, along with meeting spaces for companies large and small. Between the two, the central hall was an eclectic mix of programs and tools, along with services and varied offerings from schools and studios. Among them was our booth, what I considered somewhat of a base of operations during the event. 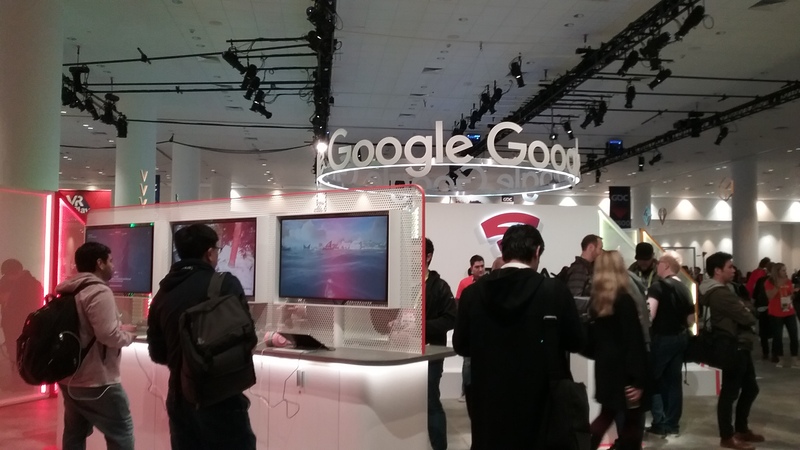 Google made a few announcements the day before the expo opened, and their booth was very excited to show them off. This was as close as I ever got, though. The Columbia College Chicago booth sat amidst a few other schools’ booths, partly hidden by the shadow of the Google booth. We had a couple of laptops set up which we used to demo student projects, a variety of marketing materials for the college, and business cards for a few faculty members in the Interactive Arts and Media department. It was simple, but to have a place at all in such a large scale event was significant. 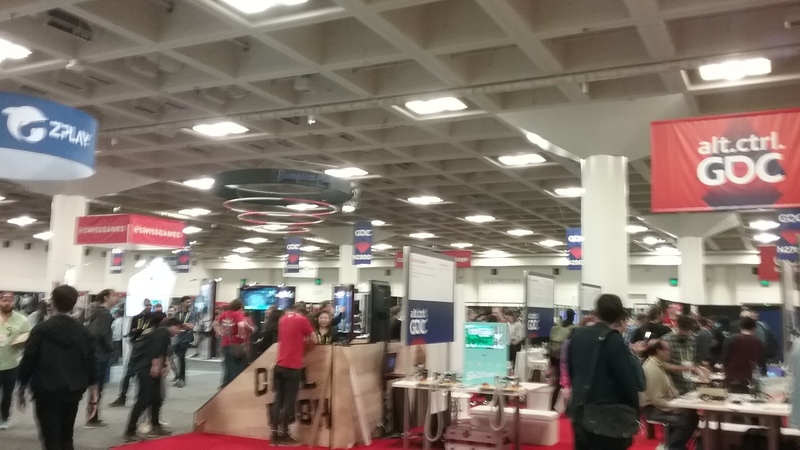 Because I was provided a GDC pass through the department, I had to work a total of four hours at the booth across the three days it was open. Fortunately, timing was flexible, and I was able to adjust my schedule to attend one of the sessions I hoped to attend. I say one because this was actually the only scheduled session I made it to. For the remainder of the conference, I decided to keep my options open and not rush from room to room looking for discrete events. However, the one I did attend was everything I could have hoped for. It was a roundtable discussion on the future of narrative design, and attendees ranged from students like me to professionals with the likes of God of War under their belts. While I didn’t directly contribute to the discussion, I took pages of notes, and relished the chance to interact with the kind of work I really want to do. After the roundtable, I went back to the Columbia booth to work for about an hour. I talked with some people, several of whom were primarily there to sell the school things—or sell me things, as representative of the school. It was an alright experience that I’ll talk about in more depth another day. When my shift was finished, however, I joined back up with my party and we attended the awards show shared by the Independent Games Festival and the Game Developers Choice Awards. I have expressed distaste in the past for the Game Awards, the rather consumer-oriented cross between the Oscars and a varied, extended advertisement hosted every year in December. Perhaps that’s what the Oscars, the Grammys, and other medium’s awards shows are ordinarily like, but they’ve always felt to me like a disconnect between who they’re for: the developers or the rowdy side of the video game consumerbase. This was not the case at the GDC awards ceremony. The lights going before the awards show began were a sight to behold. 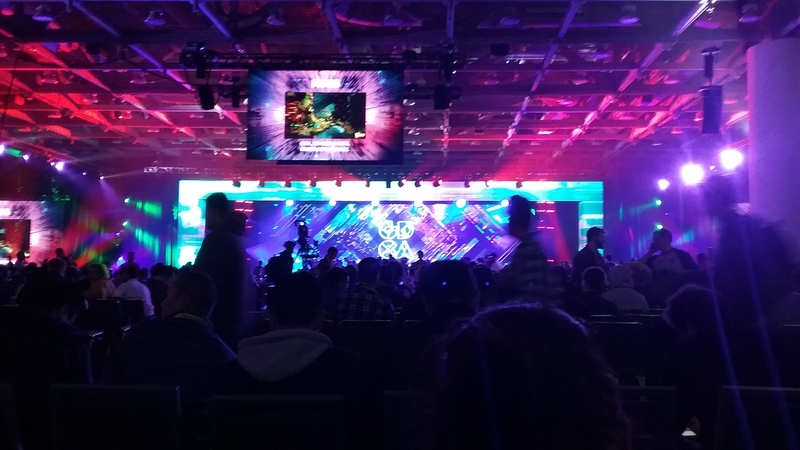 The awards ceremony at GDC made it clear from the first moment that ours is not an industry to tolerate hate, that it is our call as game developers to be as inviting, entertaining, and supportive of as many people as we can be. This is not the task of any single game; the landscape of gaming is as diverse as books, movies, paintings, and the people behind all of them. It is getting easier and easier for anyone to tell their own stories in an interactive format, and we as an industry should celebrate that. The awards show did not take itself too seriously, but it never descended into overwhelmingly loud musical performances, made itself a space for world premiere advertisements, or relegated awards of “lesser importance” to commercial breaks—except as a joke by Double Fine founder Tim Schafer, the emcee of the GDCA part of the show. This awards show, while certainly adding several entries to my Steam wishlist, cemented my call to work in the game industry. The awards show was not the end of the night, though little else of great note occurred. My party and I traveled to Fisherman’s Wharf for a dinner at the cult favorite In-n-Out Burger, then a walk along the wharf at way-too-late-o’clock to see the ocean and some rather vocal sea lions. I got back to the hotel later than I should have, given that I had another appointment early the next day. 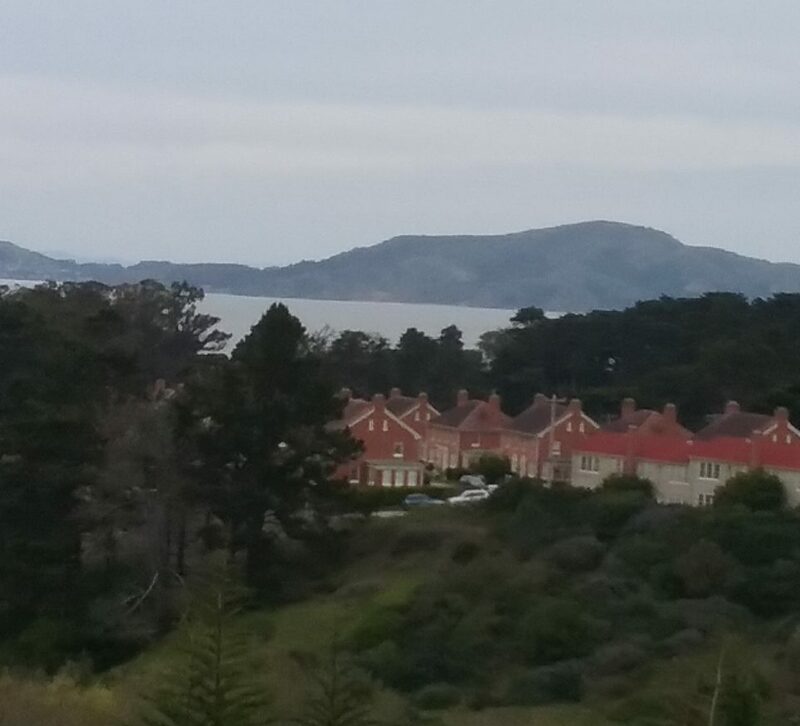 But once again, I wouldn’t trade the experience—or the view on the way there—for anything. I got to the end of it and still couldn’t get over the Don’t Stop Believing reference.